Center for women with disabilities in Izvor. 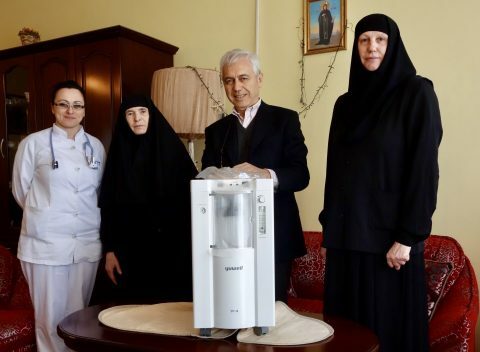 In January, the Management of the Center has informed the Embassy in Belgrade about their “WISH”, necessary and urgent: an oxygen concentrator, indispensable for better medical treatment of 92 protegès, which lacked among medical devices in this Center – run with affection by Orthodox nuns. 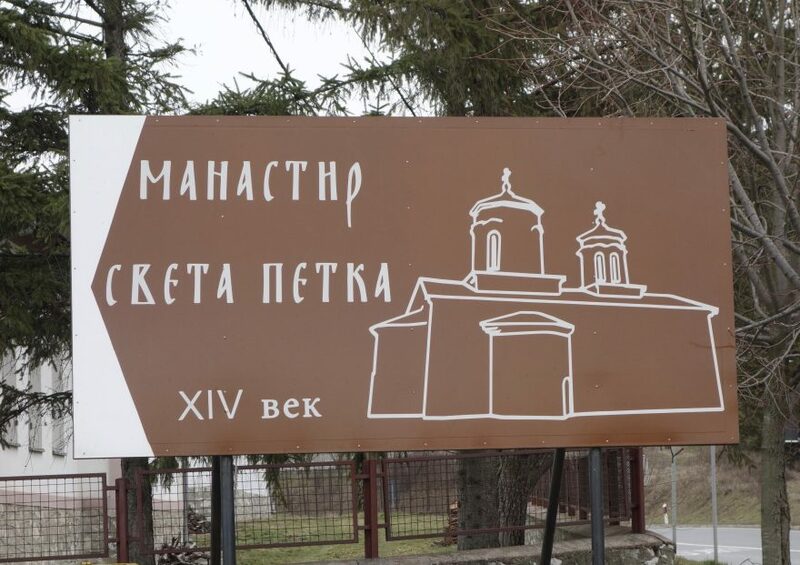 at St. Petka, is in need of particular and constant support. Once again, that “sensibility” has arrived from the Principality of Monaco, which allowed a quick purchase and delivery of a device in less than 20 days from sending the “WISH”. President Aleksandar Vučić takes oath of office - Belgrade, May 31. 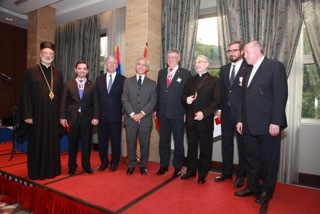 In the greeting after the ceremony, the Ambassador Alberto di Luca trasmitted warm congratulations and good wishes of the Lieutenant of the Grand Master of Sovereign Order of Malta Fra’ Giacomo Dalla Torre del Tempio di Sanguinetto. In a short conversation with the President friendly relations and close connections between Serbia and the Order of Malta were emphasized. Palace Serbia, Belgrade, Ambassador Alberto di Luca inspects the Honor Guard of the Serbian Armed Forces in occasion of the delivery of the Credential Letters to the President of the Republic. Belgrade, June 11th 2012. 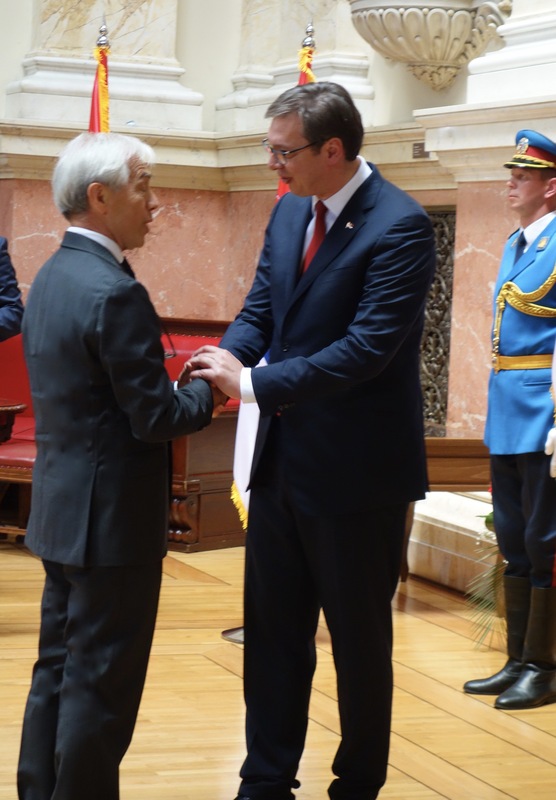 Inauguration of new President of the Republic of Serbia, H.E. Tomislav Nikolic. Ambassador Alberto di Luca has given to President Nikolic the greetings and best wishes of the Grand Master of the Order, Fra Matthew Festing. 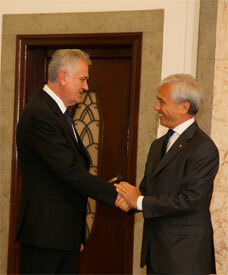 Belgrade, October 18th 2010, Ceremony of the delivery of the Credential Letters by Ambassador Alberto di Luca to the President of the Republic Boris Tadic. 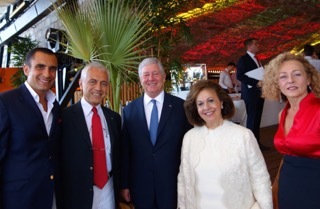 The Heads of the Royal House of Serbia, HRH Crown Prince Alexander II and Crown Princess Katherine, upon arrival at Twiga welcomed by, from left, the first Secretary of The Embassy Mr. Giorgio Giuliano, by Ambassador Alberto di Luca, on the right, and his spouse Mrs. Emanuela on the right in the picture. 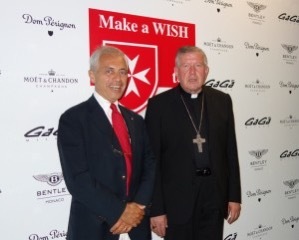 Came especially from Serbia to attend the charity-dinner organized in favor of the project “Make a WISH” of the Embassy of the Sovereign Order of Malta in Belgrade, H.E. the Archbishop of Belgrade, Msgr. Stanislav Hocevar. 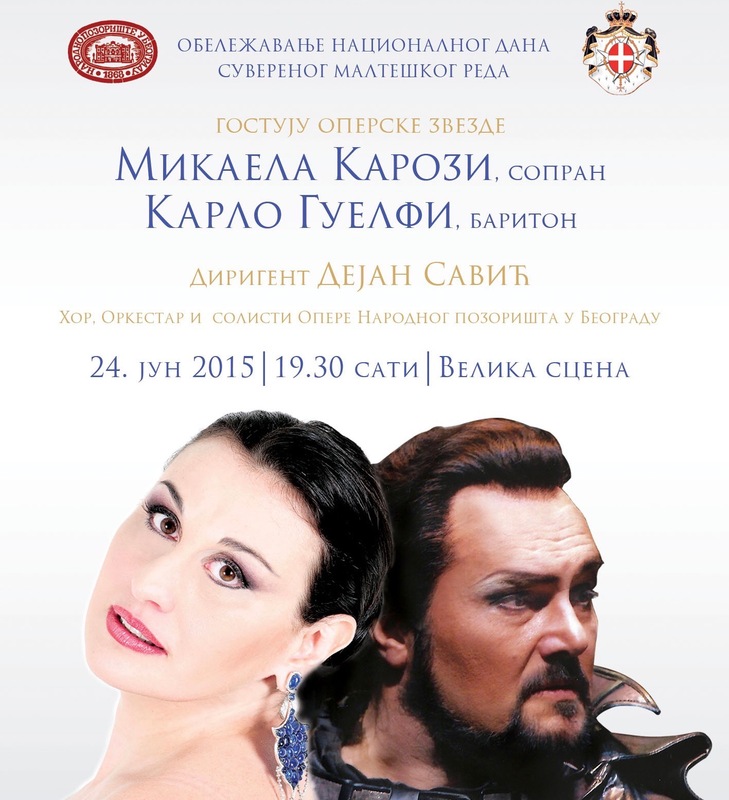 For the National Day of the Sovereign Order of Malta, the Opera Tosca at the National Theatre; Belgrade, June 24th. 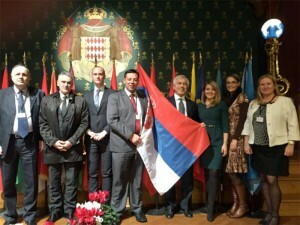 The delegation of the Serbian parliamentarians at the PAM with Ambassador Alberto di Luca. 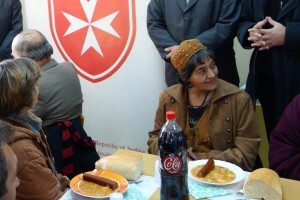 Aleksinac and Sabac – Winter 2014/2015 This 2015, the Embassy of the Sovereign Order of Malta in Serbia will again be alongside those in need of “a hot meal on a cold winter’s day”. Together with the logistical collaboration of Caritas Serbia, every weekend during Serbia’s cold winter, at Aleksinac and Sabac, the initiative that satisfied more than 3,000 people last winter of 2014, will be repeated. In the photo, from left S.E. 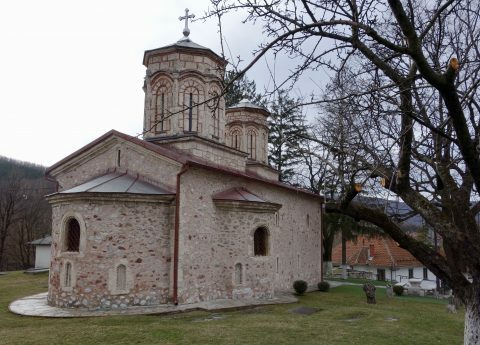 Orthodox Metropolitan Irinej Dobrijevic, Hon. 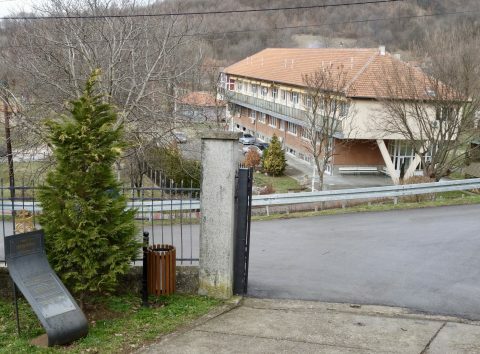 Vladimir Marinkovic, S.A.R. Prince Aleksandar II Karadjordjevic, Amb. 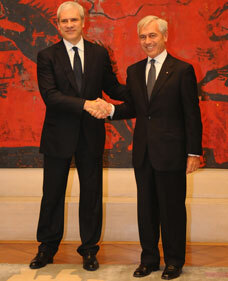 Alberto di Luca, Professor Oliver Antic, the Nuncio S.E. Rev.ma Mons. Orlando Antonini, Dr. Federico Bolondi and the Catholic Archbishop in Belgrade S.E. Rev.ma Msgr. Stanislav Hocevar. During the ceremony, H.H. 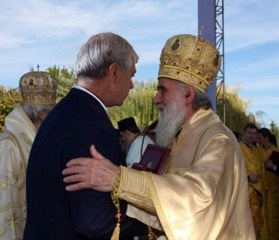 Patriarch Irinej awarded with the high honor of "Holy Emperor Constantine" Ambassador di Luca for the activities on the occasion of the 1700th anniversary of the Edict of Milan. 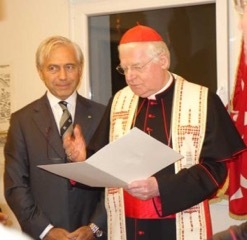 The new premises of the Embassy of the Order of Malta were inaugurated and blessed by Cardinal Angelo Scola, Archbishop of Milan, and special envoy of Pope Francis to celebrate the 1700th Edict of Constantine. The Ambassador Alberto di Luca has welcomed the Cardinal accompanied by the Archbishop of Belgrade Mons. Hocevar. 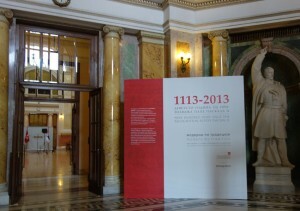 1113/2013: inauguration in the seat of the Serbian Parliament of the photographic exhibition on the 900 years of the papal bull which established the Sovereignty of the Order.